Dave Challis, VP Health Innovation, RB, provides his thoughts on how to navigate regulations to launch consumer health products. 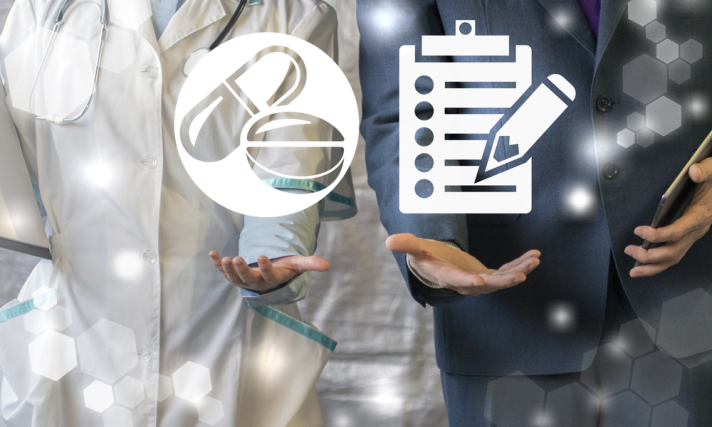 It is a major operation to launch a new product into the consumer healthcare market and there are many components that need to work cohesively to achieve success. From a planning perspective, mapping the roll-out of an innovation based on consumer needs and ability to execute in market are key, but an often underestimated part of the process is navigating the regulatory environment. Mapping the product roadmap and working towards clearly defined milestones not only lays out ambition but provides tangible goals for you and your team. This process should be used for a brand new product, and when considering alternative, credible applications for existing ones too. Research from Enterprise Nation, commissioned by RB, found that 77 per cent of British small businesses want to drive growth by repurposing their existing products. For example, this could be taking a medical device, such as a thermometer, and re-engineering it to compliment a pain-based medicinal brand. One of the biggest challenges with any global launch is navigating product classifications, as they vary from region to region. Let’s take a sore throat product as an example. When developed for the UK market, it could be classified as a medical device or a drug. However, as my global regulatory colleagues advise, when rolling out into different markets such as the US or China, it could be considered a monographed medicine or health food, respectively. The product’s change in classification would then impact its formulation, the supporting test data needed and registration requirements. This could set a smaller producer back by five to seven years when trying to enter a new market. Anyone can undertake desk-based research to find out regulatory details, but this isn’t the hard part. It’s important that regulations are interpreted and actioned in the right way – that’s the real skill that takes mastering. You could potentially waste years of effort pursuing a development programme, only to realise you’ve gone in the wrong direction. The speed of launch into a new market accelerates dramatically where a company seeks help from experts with dedicated regulatory teams. They will understand different markets and can help make ‘conscious decisions’ about what is the right regulatory strategy. For example, is it worth creating the information now to register in Brazil, when you may not be looking to do this for another three or more years? Regulators are approachable and will engage in conversation. However, the trick is knowing the right questions to ask to get the information needed to support a launch. It may sound silly, but this really does matter. Questions can’t be sweeping, they must be specific, tailored to your product and prospective classification and market. It can take years to build up close relationships with regulators and understand how they work. So, if you’re not in this position, the registration process will likely be a slow one. With any product launched into market, a company is legally and ethically responsible for compliance. That’s why regulatory considerations don’t just stop once a product is launched – there are challenges to navigate throughout the entire shelf-life. For example, a change in legislation can require additional supporting documentation or an update to the product itself. Where issues arise with consumers, the governing body, such as the Medicines and Healthcare Products Regulatory Agency, will need to be updated and products will need to be checked to ensure they’re safe for public use. For medicines, registrations also need to be renewed annually. It is therefore essential to stay at the forefront of legislation, know how the product is performing in the market, and keep close to regulators. While you may have the most innovative idea for a new product or breakthrough ideas on pivoting the use of an existing one, navigating the regulations to bring a compliant product to market can be a minefield. We’ve seen first-hand how companies’ progress can be hampered by the regulatory environment. That’s where finding a partner to help you in this process helps. In as little as 12 months, an agile partnership can deliver a new product to market. While it may be a daunting prospect to pitch to a corporate, there’s a lot to gain in terms of navigating regulations, market expertise, product development and more. Equally, finding a partner who is on the lookout for fresh ideas to grow into innovative consumer health products, creates a win-win situation.